Seeing southern Colorado's Great Sand Dunes in nautical terms seems to work. 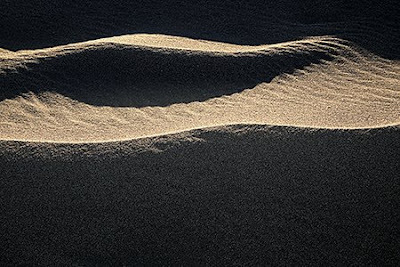 This image depicts the ever moving sand in an abstract form resembling waves or building surf. Just before embarking on the short hour voyage from Port Clyde to Monhegan Island, Maine this compelling still life caught my eye. 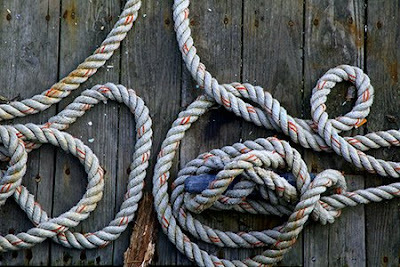 The lines were gracefully looped around a cleat on the weathered dock as if intended for artistic purpose.